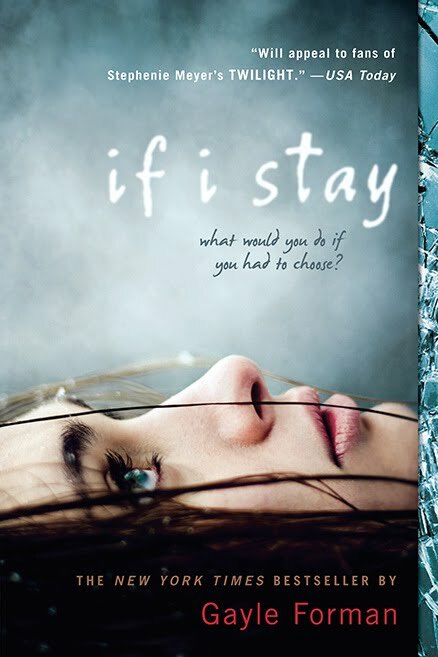 Review: I had heard a lot of great comments about this series and was finally able to go through my stack of books and begin to read If I Stay. I was drawn in right from the beginning. The author does a fantastic job at creating a visual picture of the scenes written in the book. If I Stay has such a deep emotional tie, that it is hard not to want to continue reading! The characters in this book are very likable. Mia, the sole character of the book has very fun, hip, supportive parents; I enjoyed reading the sections where Mia would describe her mother and father. During the dialogue it was great to see the difference between her parents personalities and their daughters- Mia may be the oddball, but I couldn't help but feel the warmth, acceptance and encouragement she received from her family. In fact, Mia has everything any teenager could possibly want; She is being considered into Julliard, Adam her rocker boyfriend has the sweetest personality and who couldn't enjoy reading about her silly younger brother Teddy who always looks up to her. Gayle uses a writing style that I don't normally like; she switches back and forth between past events/stories and the present. Sometimes I feel as though that can either be confusing or interrupts the book. But I never felt that way while reading If I Stay; the emotions, feelings that I had while reading transferred over. I believe this book was a reality check, it makes a person look around and think "Wow! My whole world could easily turn upside down in the blink of an eye." Gayle writes from the patients (Mia) perspective which is something that a reader doesn't always get to experience. The emotions and feelings that Mia has are believable, heartbreaking, and real. She is telling the story how she sees it as an observer of her own life, watching herself lie in the hospital. While watching these events unfold, hearing what her loved ones have to say, Mia has to make some valuable decision- one that won't only change her life but those around her. While reading I could help but put myself in Mia's shoes & wonder what my choice would've been. As well as what path I believe Mia should take-Should she stay or should she go. From this review it has been sure that it seems to be an interesting book for me to read for the first time. There are many other books which I have also got from this website. Readers of the books can get useful information with read of this review that describes basics of the writers. For reading of reviews of latest books follow of this australianreviewer.com site is very helpful for people. If you haven't read IF I STAY and WHERE SHE WENT yet, I highly recommend picking them up! They both instantly made me a Gayle Forman fan for life and will always hold a special place in my heart.